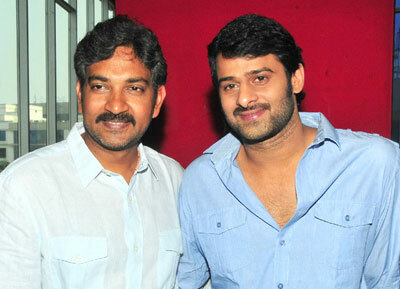 S S Rajamouli announced his next film with Prabhas. hero Prabhas, Rajamouli, veteran director K Raghavendra Rao met the media at Cinemax in Hyderabad and announced the project. The film is to be produced on RK Films banner belongs to K Raghavendra Rao. "I made debut with Student No.1 which was produced by RK Films. Once again I am doing film for this banner. So it is like home coming to me," Rajamouli said. Rajamouli also said he is roaring to go to make a big film. "I planned to make a big-budgeted movie after completing Maryada Ramanna but suddenly I am drawn into 'Eega'. So I am happy to announce that I would be doing this big-budgeted movie once I wrap off the shoot of 'Eega'. Pre-visualization work for this fantasy film is already on and we would go to the sets from September," he added.